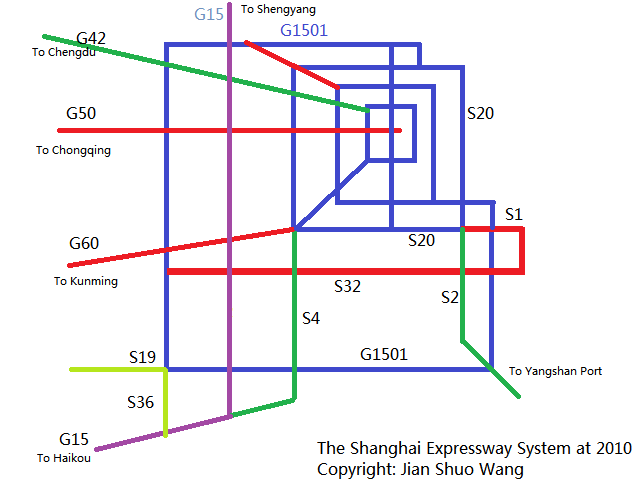 It has been a while since I last draw the diagram of Shanghai Expressway. Compared to the old map I draw, I feel I grew up a little bit in the last 4 years. 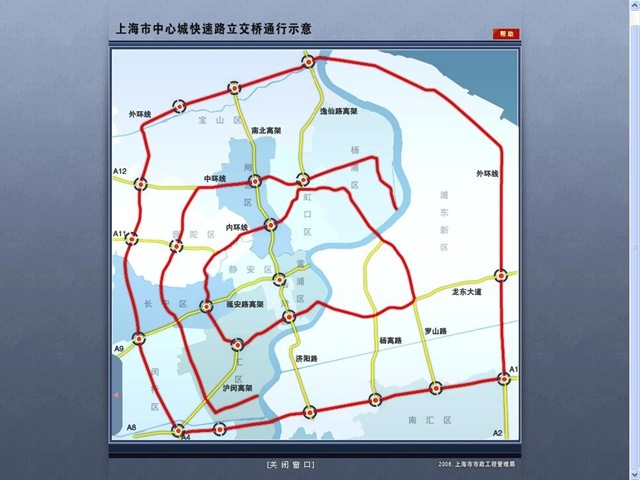 Here I proudly present the new Shanghai expressway map as of 2010. Let me give you a little bit explanation. 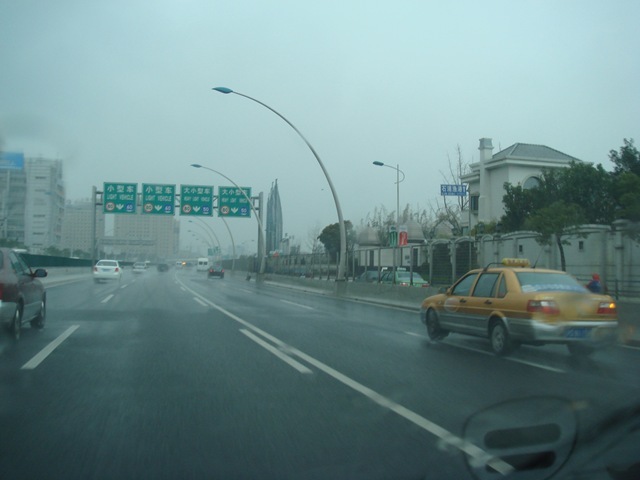 There are basically four big ring expressways in Shanghai – the four blue square. 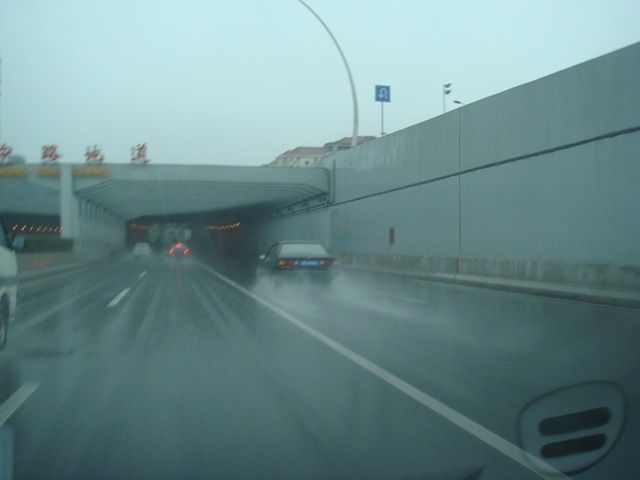 The Suburb Ring Expressway (G1501, formally A30). The G1501 is not completed yet (you can see absence of a corner at northeast side). 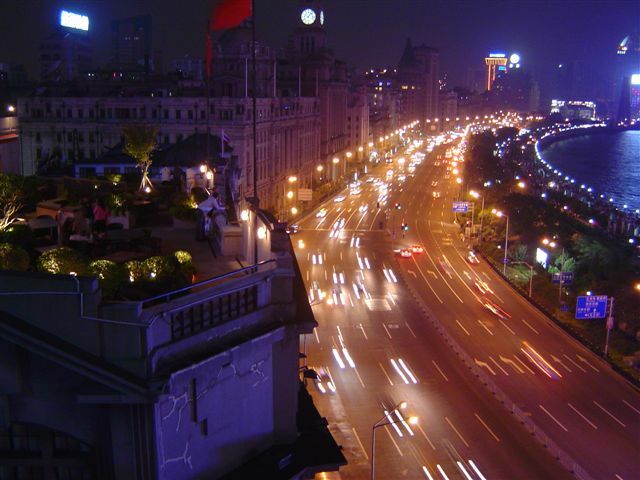 The four rings become the back bone of the transportation systems in Shanghai. 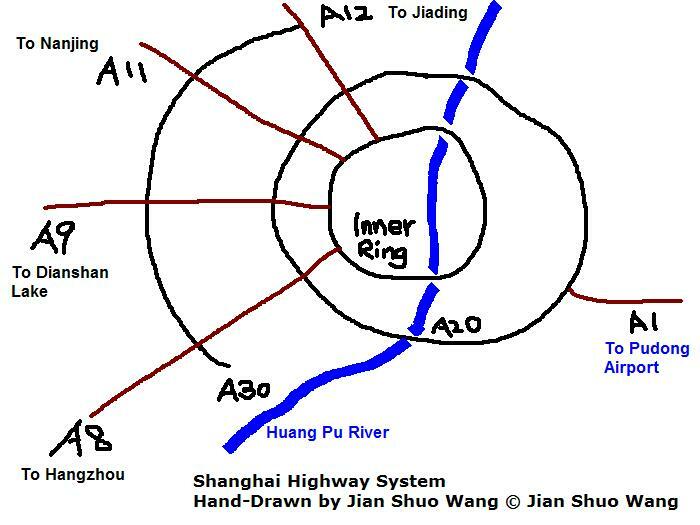 A fact that many people ignored was, although they are called Ring Road, they are not circles. Instead, they are more like a square. Pay attention to most of the corners, and you will see that it is well designed. 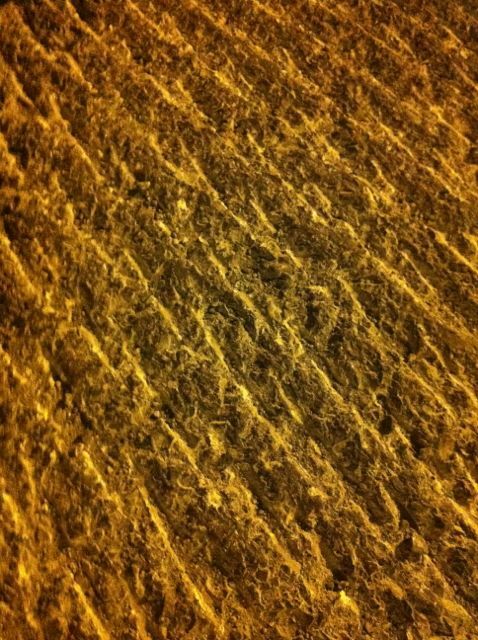 The rings formed GRID, instead of some hard to handle round corners. 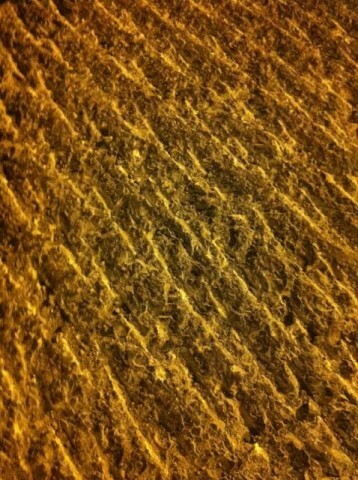 Besides the radiation lines, G15 is the National Expressway from Shenyang to Haikou, passing Shanghai. G1501 is named after G15. The 0 in the name implies a ring, and the 1 means the first round-city ring along the G15. S32 starts from Pudong Airport, and goes all the way west and reaches G60. 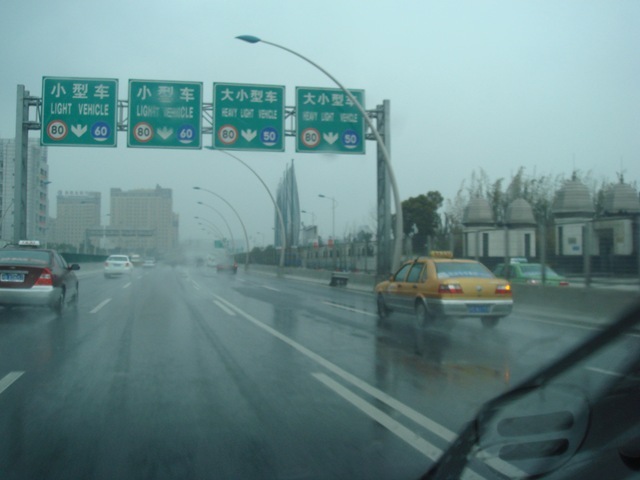 If you drive from Hangzhou to Shanghai, far before you get close to the downtown Shanghai, you will see a sign pointing to Pudong Airport. That is the starting point of S32! Enjoy the nice Shanghai expressway system. 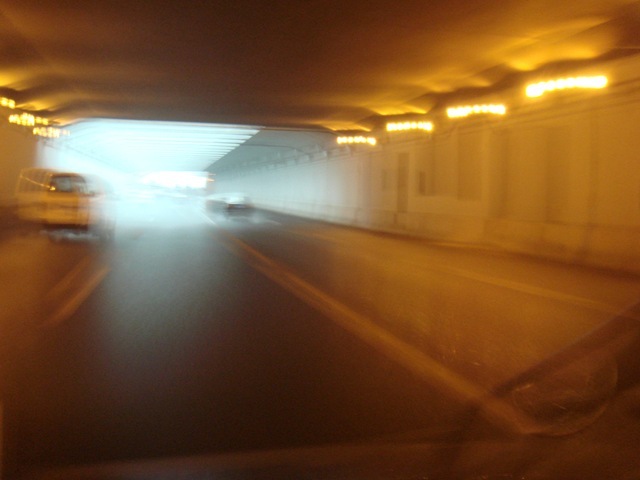 Before I know it, two other tunnels cross the Huangpu River opened at the end of the last year: Xinjian Road 新建路隧道and Renmin Road Tunnel 人民路隧道. 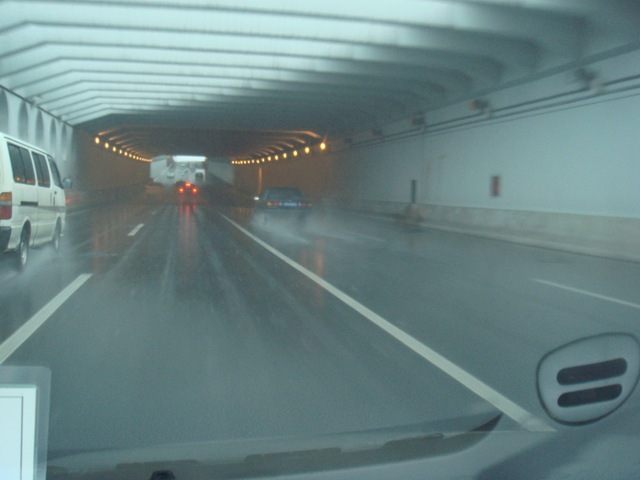 Along with Fuxing Tunnel 复兴路隧道, Yan’an East Road Tunnel 延安东路隧道, and Daliang Road Tunnel 大连路隧道, there are 5 tunnels in the area. The interesting thing is, the two tunnels are connected. 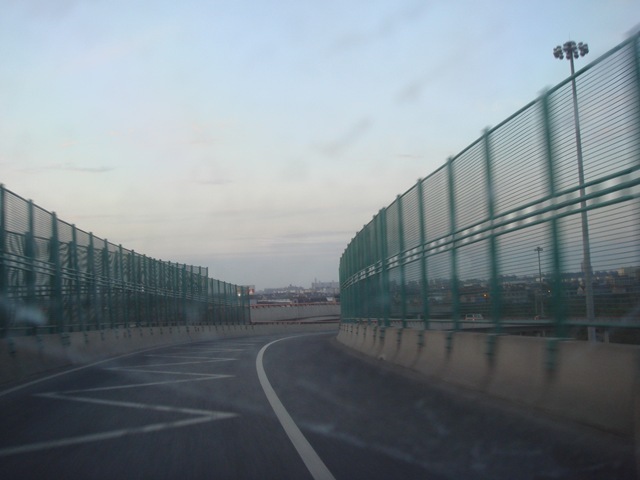 Cars from the Huaihai Road direction can enter the Renmin Road Tunnel, and exit at either Pucheng Road, or the Century Ave, or choose to continue to enter the Xinjian Tunnel to cross the river again to arrive at the Yangpu District. This is a brilliant design. 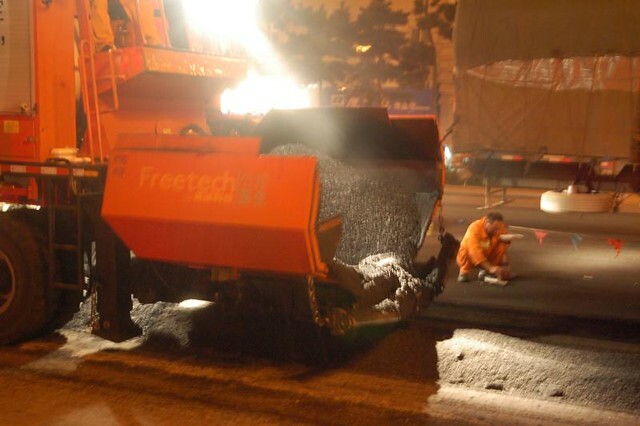 Traffic from south of Puxi to North of Puxi (Yangpu district) will be en routed to another side of the river (Lujiazui Area), through two connected tunnels. That is the bonus of living in a big city. Wendy and I went to theater to see the movie The Founding of a Republic – the politically important movie. 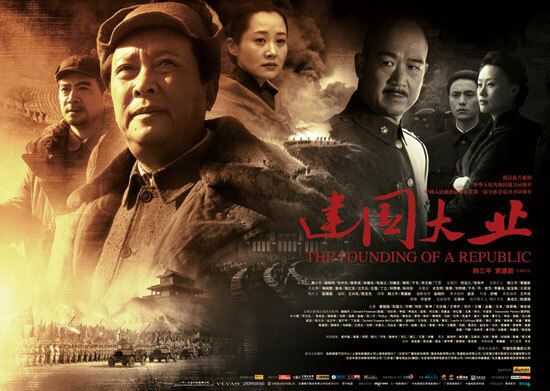 It is about the beginning of the domestic war and the end between 1945-1949, a movie to celebrate 60 anniversary of the People’s Republic of China. My comment? Well, better than expected, since for the first time, it tells the story from two side – the KMT side and the CCP side. For most of the time and event, I take it suspiciously. I am not for sure which part is fake, but my tendency of thinking is, there are many facts altered from the history. Just need to spend more time to dig into the details of that 3 years. Actually, the movie raised my interest in recent history again. For my readers outside China, there is something so funny for the movie. The 135 minutes long movie accommodated 170+ celebrities in China, with most of them only have several seconds to show. Famous star like Zhang Ziyi only also have about one or two sentence in that movie. That added some humerus factor to this movie. 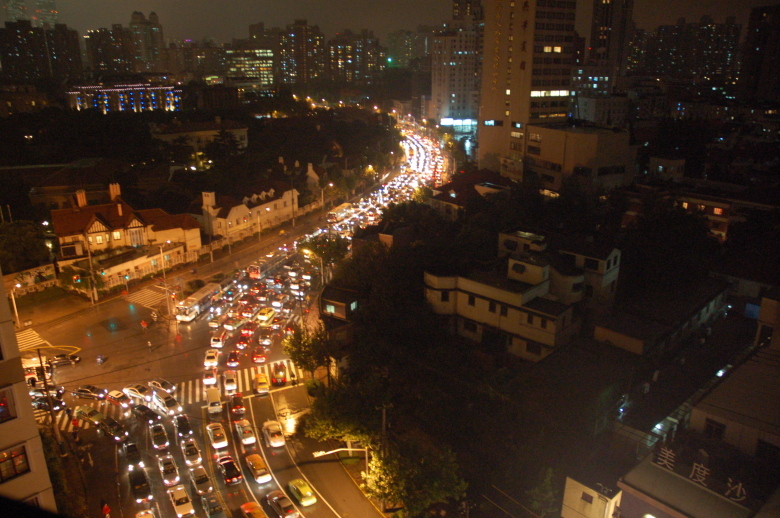 Does it take more than one hour for you to use the subway to get from your Pudong home to Xujiahui? Why not only use the car for weekends and trips other than work, in a more European style? I’ve now returned to Shanghai after just three years away, and the increase in private cars is amazing. An increasing number of car commuters during rush hour has so many bad points, and public transportation is so good in Shanghai now. How about trying the subway at 7, maybe before it too is so crowded? I don’t suppose you would ever consider moving closer to work. :) There’s some nice places to live in Hongqiao. 3) dicreasing the consuem of petrol, will help to decrease wars, in example Iraq, Afganistan, durfur…. Thanks a lot for giving me suggestions, and I will consider it, and will try alternatives, but before I gave you the report, let me tell you more about why I made the current decision – a chance for my readers to know the life of Shanghai better. I love metro. I am a big fan of Metro. As you can see from the articles I wrote about Metro, riding a metro is the best thing I can think of to do in this city. However, riding a metro is still not a very feasible way for me to do it. There are several reasons. There are no metro stations near where I live, and I have to find ways to get to the metro station in the morning. I tried many different approach. Currently, this is no park and go facilities in Shanghai yet. I used to park my car at the gate of Century Park, and it takes only 10 RMB (1.4 USD) per day to park. 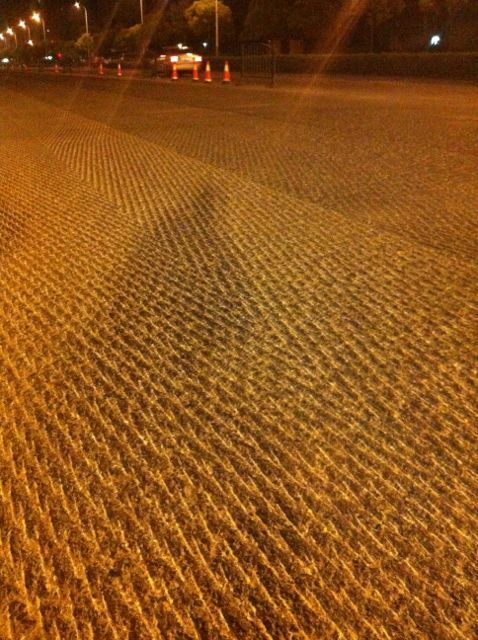 I like it a lot, and do park and go at that time. But, it was closed already, and so does all the cheap parking lot near Metro stations like Longyang Road station, Shanghai Science and Technology Station. The current parking lot is both far from the station, and charges 10 RMB per hour. For people like me who often get back very late at night, I can easily paying 100 RMB to 150 RMB per day (that is about 20 USD). Not a very good solution for me. If anyone knows any good parking lot near these three station, or even stations far away, I would like to give it a try. I do hope the city can build park and go facility and charge cheap for that, so I will definitely do it. There are buses from where I live to Metro Station – I choose the Lancun Road station of Line 4, because there are no bus to other stations from where I live. When it rains and at rush hour, it easily take 40 minutes to get through the traffic near Pujian Road, or longer. I was proud of the traffic in Pudong, but not any more. That is about 1 and half hour to get to work, or longer if I am not lucky. This is also a dream solution, if I can call a taxi. In the morning from 7:00 to 9:00 AM, in the area, there is NO taxi at all. There are some illegal taxi departure at around 7:40 AM to metro station. I may consider take it some day. I’d love to, if I can afford the price of the area – I shared the story of appointment finding experience, and we tried very hard. No result yet, and house price in that area keep increasing. We have a baby and we need bigger house than before, so it can easily cost 2-5 million RMB for a so-so apartment. Rent for a big family also does not look right, especially when I want Yifan to escape from the crowd and pollution in downtown. We are also looking at the alternative of rent a smaller apartment for just we too, and even though of the stupid idea to drive home just for dinner and send Yifan to bed, and then drive back to the apartment at night, to avoid morning traffic. As I said, it is a stupid idea. Back to the metro idea, transit at People’s Square or taking Metro Line #8, or #2, or #1 South section are miserable. Taking Metro Line #8 as an example, I am often told that people have to wait for 3 trains to get onto it in the morning. Regarding driving a car – I don’t like to drive in the morning, and I don’t want to show off my cheap car (although I love it so much and Goudaner is doing great so far). What I want is just show up at office on time, and with a pleasant experience. Shanghai is a big city, with life in it, and problems in it. It is not a very pleasant city yet. In the last few years, I am trying to make the city more accessible information wise, but I also face some problems like commuting to work. 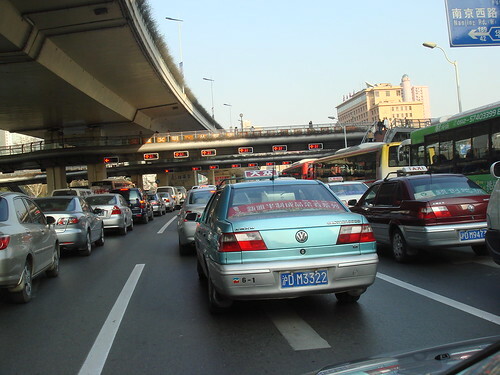 In some areas, Shanghai is getting better and better, but in other areas, like transportation, it is getting worse. I am expecting the Metro Line #7 to open, which has a station near my home. I would be very excited to park my lovely car at its own parking space all the time, and use the Metro all the time (even at weekends). But any way, I still love my life and love this city. I am not complaining. I just want to find a solution to my little problem. Besides this, life is wonderful. So, that is the problem of living at where I live, and any suggestions? I’d love to save time, or save petro, or both. Suggestions are welcome, and I will try new approach (other than leave home at 6:00 AM) and see whether it works, then report on this blog. 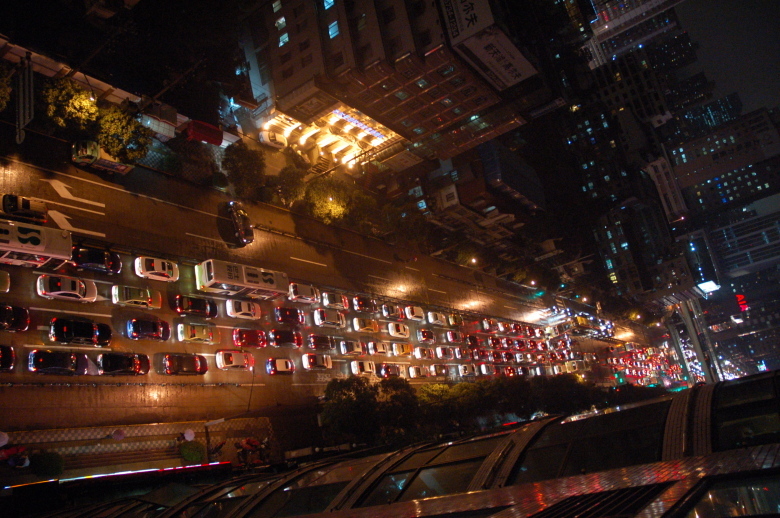 The recent traffic in Shanghai is worse and worse. Wendy and I was deeply annoyed by the current situation. The trip from our home to my office was used to be 45-50 minutes, but now, it is always more than 1 hour. There are many metro stations along the Zhaojiabang Road (4 of them), and Xujiahui just detoured all the traffic on Hongqiao Road to allow space for Metro #9, and #11 station construction. This adds another minute delay. So we have decided to leave home before 7:00 AM instead of before 8:00 AM. This is the first try. We wake up at 6:40, and left home before 7:00 AM. The reason we choose 7 is, then we can get to the elevated highway before 7:30 AM, from when we are not allowed to use the road. Today’s test is discouraging. It also takes 1 hour for us to get to Xujiahui. The good thing is, though, we don’t need to worry about being late to office. So, we thought of an even more aggressive plan. We hope to stick to 7 AM for some time, and push our limit forward to leave home at around 6:00 AM. Let’s see what it looks like. P.S. What we can confirm is, one day, we left home at 5 AM, and it was pretty empty everywhere, which inspired us to wake up early to avoid the traffic. Like all the other days, we sit before TV to watch what is going on in the earthquake area. The jammed dam was dangerous enough to breakout, and tonight, they have to migrate about 300,000 people from Mianyang to higher mountains. The plan to move more than 1 million people is in place in case the dam collapse. It is another round of danger for the suffered people there. I will keep my fingers crossed, and keep donating money to them. If you want to help, I would appreciate it on behalf of the people in epicenter. I am also thinking about assembly something, like a e-book of all my blog entries with pictures, to put on a charity sale on my blog. 100% the money will go to disaster relief efforts. Anyone has any idea about what is the best way to do it based on a MovableType platform? 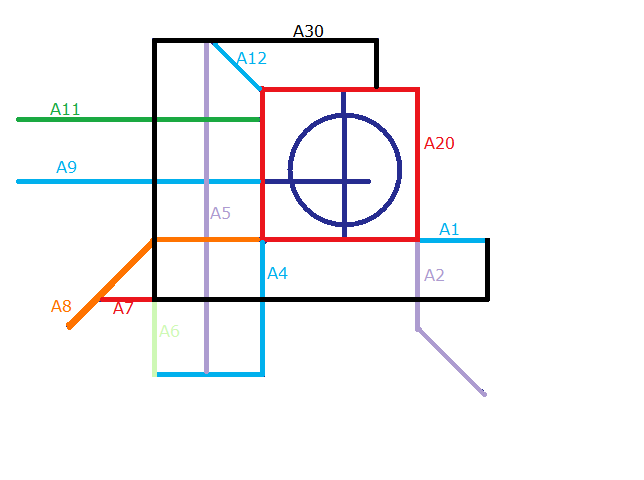 A6, A7, and A5 is completed, as well as the A30 south section. Please continue this article with part I, where I introduced all these expressways. Update: here is the "official" version of the same map as I draw – much more professional, and more useful. After visiting Australia and drove on the left for one day, the question attracted my attention that why in Australia, Japan, and England people drive on the left while many countries drive on the right. 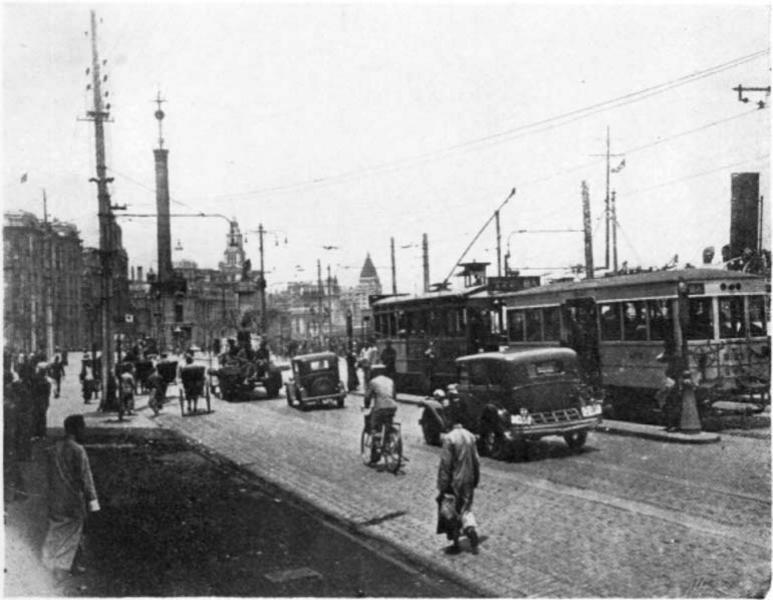 I checked old pictures of Shanghai, and confirmed that in 1930’s, people really drive on the LEFT! 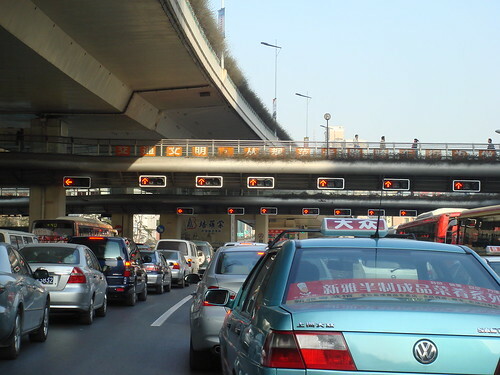 In 1946, the Republic of China government announced that all cars in China must use the right lanes from Jan 1, 1946. This maybe the result of closer relationship with American and imported greater American cars than British cars. So, people start to drive on the right. There is not right or wrong – it is just part of the history. Believe it or not, in China, all trains still go on the left, as the early days when the railway were built in China. I guess the change to railways is much harder than change the car system. Till now, if you travel in China, you still see trains traveling on the left. BTW, all closed system trains are right-handed, like in Shanghai Metro and Beijing Metro, the train is on the right. There are a lot of interesting things for us to explore, isn’t it? P.S. It is also the learning that we should NOT ask questions: “Why people in the other countries drive in the WRONG way?” In this world, there are just different ways, instead of “WRONG ways”. 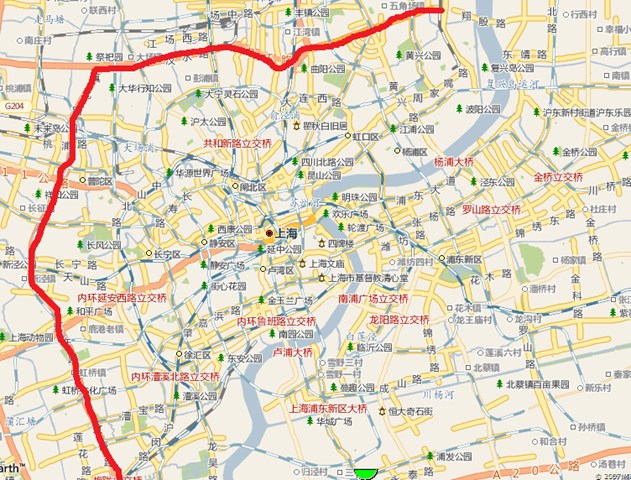 Following the Middle Ring article I wrote today, let me talk a little bit about the expressways in Shanghai. 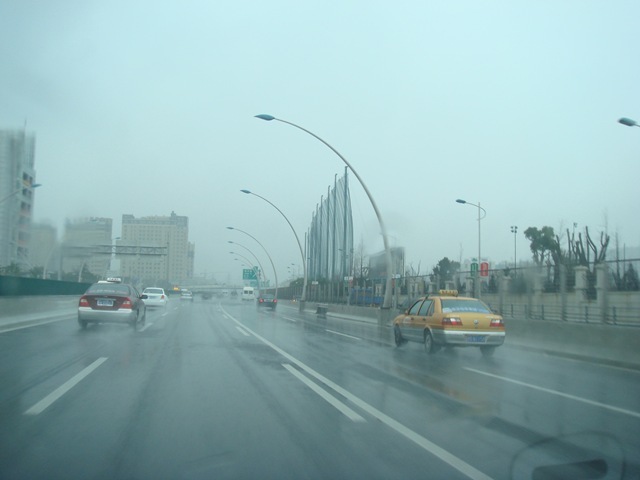 Shanghai has a network of expressways. They are still building it, but it is many more than I came to Shanghai 10 years ago. They used the alphanumeric system to name the roads. It is A+number. On numbering system, please refer to my article: Top Three Innovation that Failed in Shanghai. In 2004, many people cannot get used to it. Now, I believe it works much better than 2004. 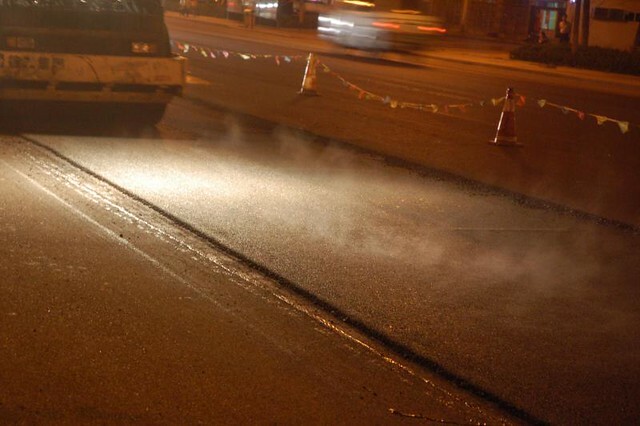 People complained that A11 is worse than “Huning” which means “Shanghai-Nanjing” Expressway. Now, after having more than 10 expressways, maybe numbering system starts to show more advantages than Chinese character naming system. Outer Ring. It runs besides Hongqiao Airport, and connects to Pudong Airport via A1. Many Axxx road starts from A20. 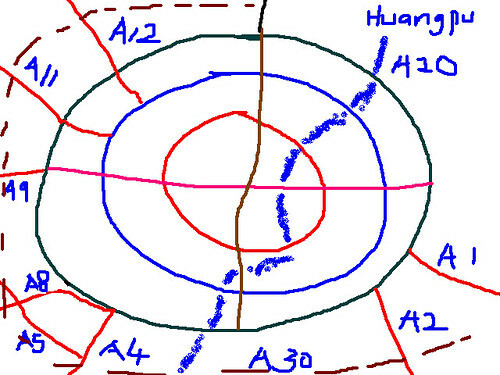 Typically, areas outside A20 are considered suburb of Shanghai. The Suburb Ring Road. Still under construction, but it is the out most ring in Shanghai. Yinbing Avenue. 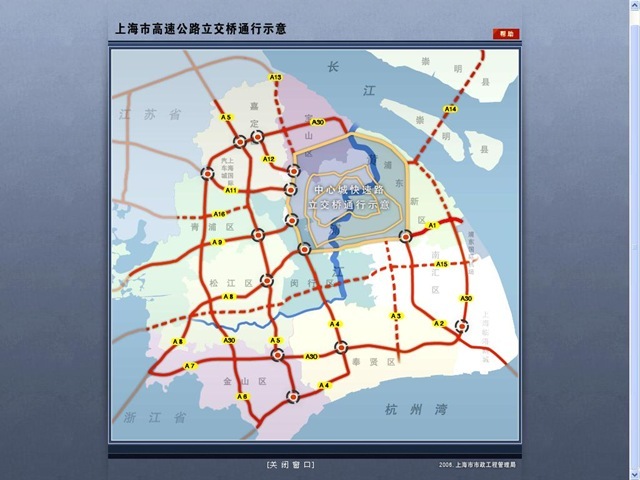 It mainly serve one propose – connecting A20 to Pudong Airport. The name A1 implies it is a very important expressway, although it is the shortest one among all these expressways. 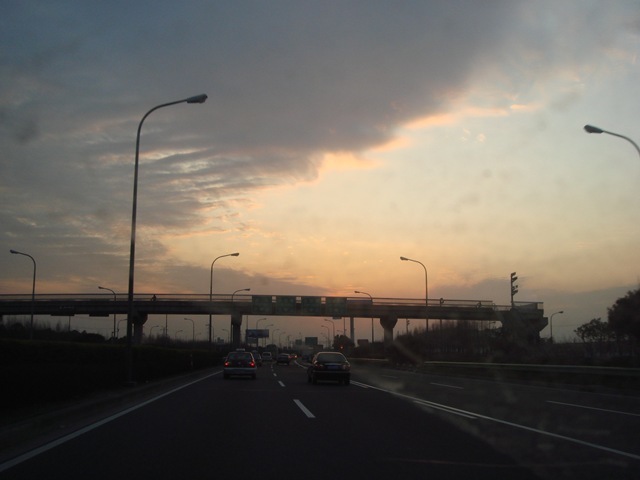 Xinfengjin Expressway. It runs from A20 (at Xinzhuang Interchange) to Fengjing. It goes cross the Huangpu River by Fengbu Bridge. 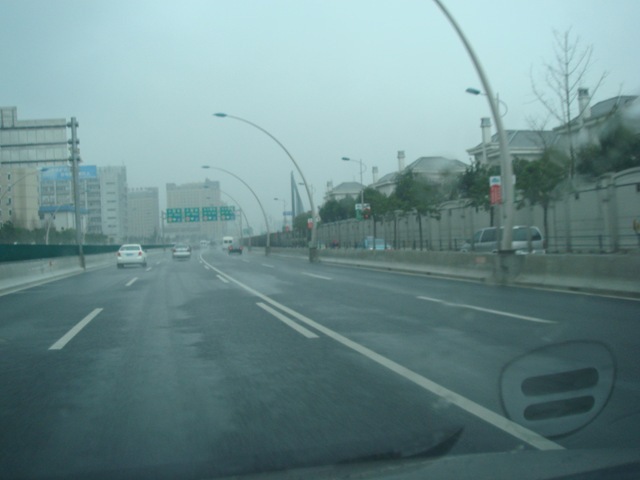 The highlight of this road is the Shanghai Jiaotong University Minhang Campus, and the Zizhu High-Tech Park. Microsoft and Intel opened research centers there. 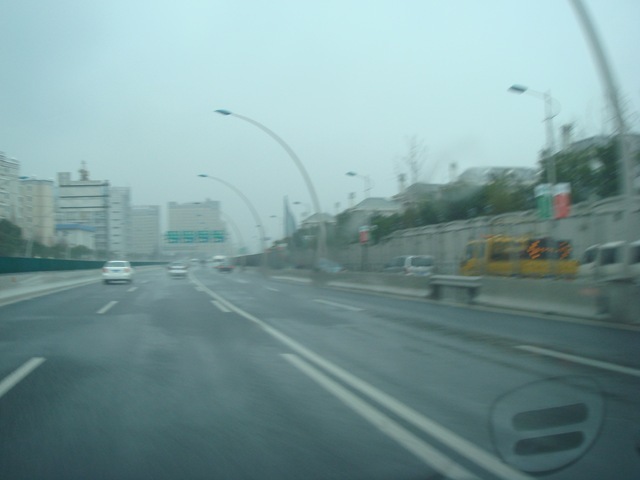 Jiajin Expressway, from A4 to Jiangsu. I haven’t try this road yet. 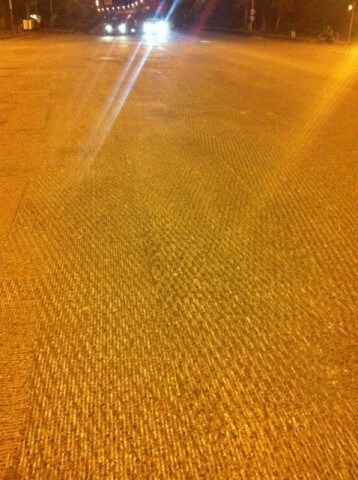 This is the major road to go to Hangzhou. 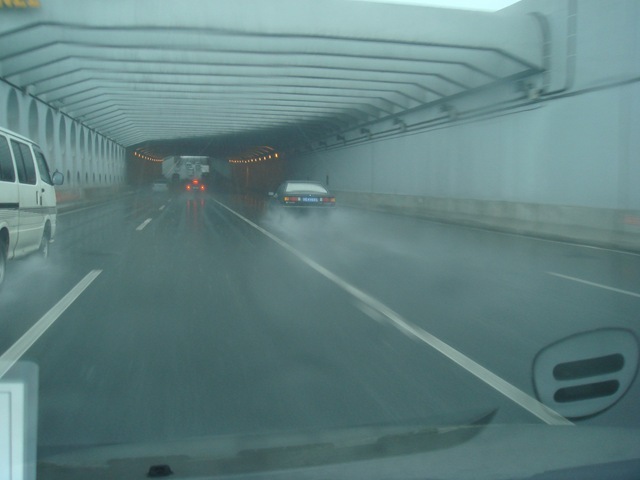 It is also called Huhang Expressway. 2 hours down A8 is Hangzhou. Unlike A8 and A11, it does not connect Shanghai to major nearby city. If you really want to know what is the other side of the road, it is Huzhou 湖州. If you go down this expressway long enough, you eventually arrive at Chongqing. 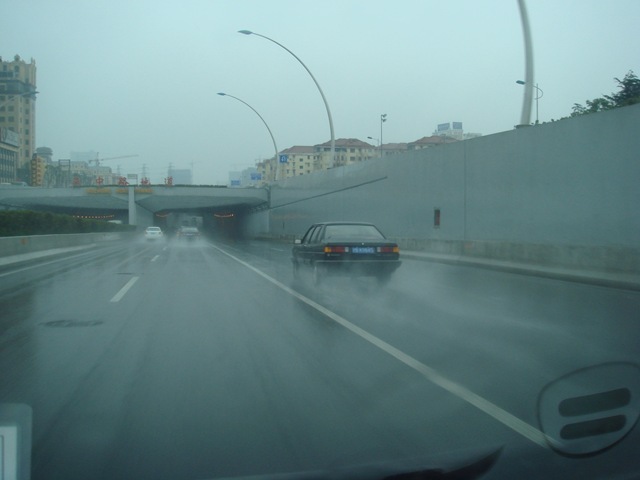 Hujia Expressway. Jiading is a remote district of Shanghai. 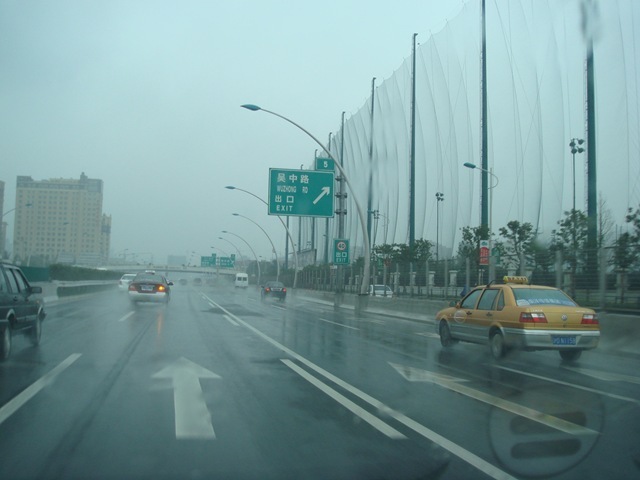 This expressway is also the first expressway in China. These are the expressways I know – at least I can remember now. 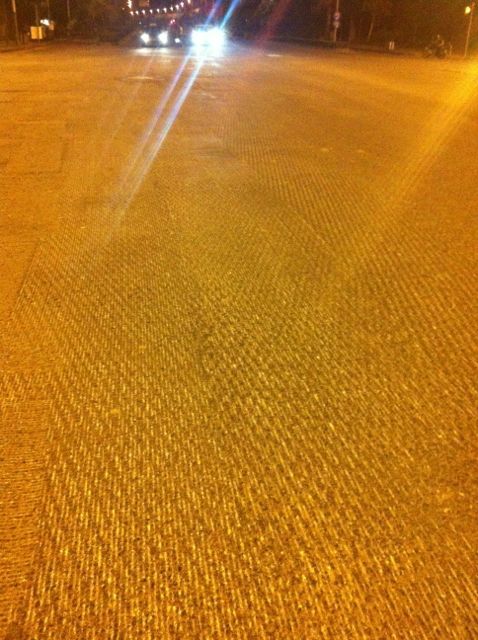 There are many other highways in Shanghai, but I either didn’t use it before, or still under construction. © Jian Shuo Wang. 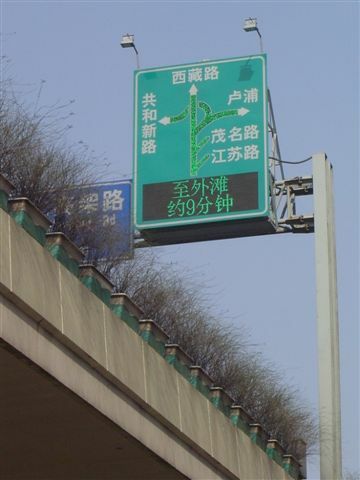 The dynamic traffic display board on the elevated high way of Yan An. Rd. near Jiangsu Rd. 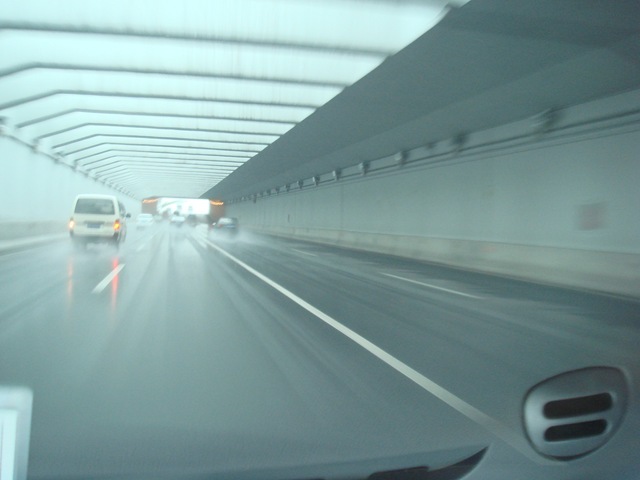 From the display board, drivers can clearly see the traffic condition of the ways ahead and choose one of the three channels to go to Pudong – the tunnel, the Nanpu Bridge and the Lupu Bridge. The green lines mean normal traffic. Sometimes, it is red, meaning the traffic is high on that road. It also gives drivers estimation to the Bund.